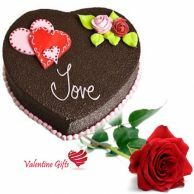 Valentines Day is the day when we celebrate the spirit of love. It's a perfect opportunity to show him/her how much they mean to you. 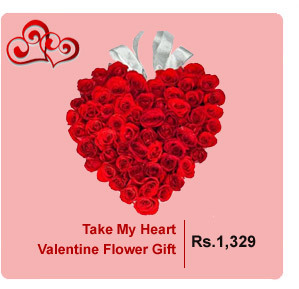 That is why this year Rediff Shopping brings you an all inclusive valentine gift shop which will leave you enthralled. 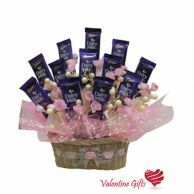 We have so many gifts specially crafted for valentine that you would not need to go anywhere else. 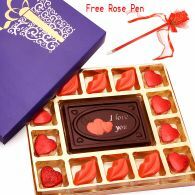 A valentine is a person that you want to spend every day with, especially Valentine’s Day. 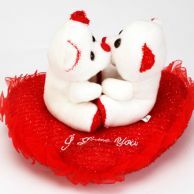 A person who is absolutely wonderful and makes your life better just by being a part of it. Someone who makes you happy. Someone you care about and know you can count on. Someone who likes you no matter how silly or weird you are. Parents, sisters and brothers, aunts and uncles, neighbors, teachers and all sorts of friends at school — they can all be your valentines! 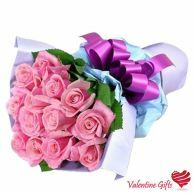 Valentine's Day is an annual occasion when we exchange gifts to commemorate these remarkable, loving relationships, every year. 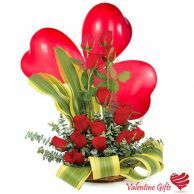 Valentine's Day is named after an early Christian martyr and dates back to the 5th century. Its celebration evolved out of a mixture of Christian tradition, ancient Roman rituals and the customs of Victorian England. 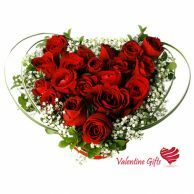 Numerous early Christian martyrs were named Valentine, a common name in Roman Empire. Valentinus, a Presbyter (a priest in the then underground Christian community) was thrown in jail for officiating at Christian weddings. He was imprisoned, but fell in love with the jailor's daughter, who would visit him often. Before his death on February 14th, he wrote her a love letter, which he signed “From your Valentine." 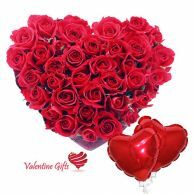 However, the celebration of Saint Valentine did not have any romantic connotations until Chaucer's poetry about "Valentines" (Parliament of Foules)in the 14th century (1382 A.D). 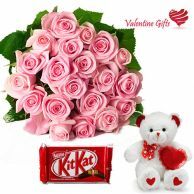 Three big gifts on Valentine's Day are flowers, cards and chocolate. 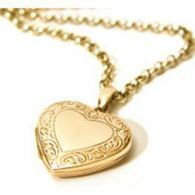 Other common gifts include perfume, stuffed animals, jewellery, books, and gourmet food. 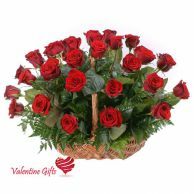 The rose is supposed to be the favorite flower of Venus, the Goddess of Love and represents love in all its forms. 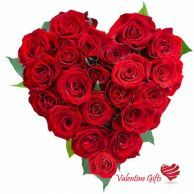 The tradition of giving valentine cards dates back to 1415 when Charles the Duke of Orleans wrote a poem for his wife while imprisoned in the Tower of London on Valentine's Day. 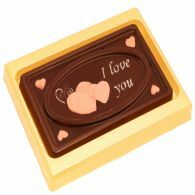 The tradition of the gift of chocolates can be traced back to Richard Cadbury of the famous chocolate-making family, who "invented" the first Valentine's Day candy box during the Victorian era. 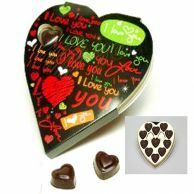 Chocolate has been used as a gift since the days of the Aztecs, who believed it to be a source of spiritual wisdom, energy and higher sexual prowess. 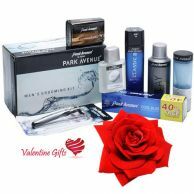 Buy your valentine gifts online, because it is not only convenient, it comes with unlimited varieties, maintains secrecy, resists compulsive shopping and it is the best place to compare prices and send gifts more easily. 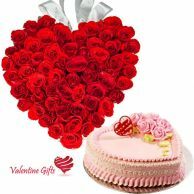 This valentine's day apart from regular valentine gifts like valentine flower bouquets, valentine chocolates, valentine soft toys, valentine cakes etc, Find some good valentine gifts Ideas, our valentine gift store also includes other enchanting gifts like dazzling Jewellery sets, hot lingerie, designer watches, fashion apparels, special valentine gift sets, and much more. 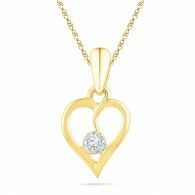 Buy amazing valentine's gifts for him or amazing valentine's gifts for her this Valentine's Day 2018. 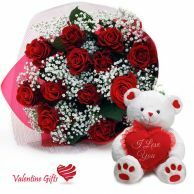 Make this valentine day the most memorable day for your sweetheart with Rediff. 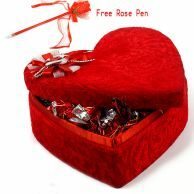 Love is beautiful, love is eternal, love is happiness, so don't hide it; share it with your sweetheart through our gifts. 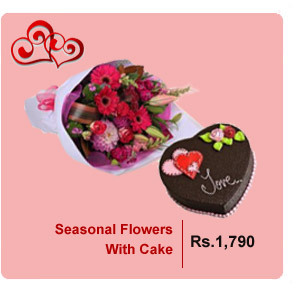 This day comes only once in a year, make the most out of it and shop now on India's leading online shopping portal.